A dental implant is an artificial tooth root, usually made of titanium, that is placed into the jawbone. Once a dental implant has healed, it can be joined to different types of attachments (called abutments) which can be used to anchor replacement teeth. This is a decision that is best made between patient and dentist and will be discussed during your exam. Adequate bone is needed to support the implant, and ideally candidates have healthy gum tissues that are free of gum disease. 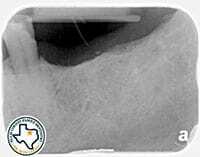 Dental x-rays and a clinical exam will be used to help make this determination. Dental implants, like teeth, require conscientious at-home oral care and regular dental visits. Brushing and flossing still apply, whether it is an implant or a natural tooth. Periodic follow-up visits will be required to monitor your implant, teeth and gums to make sure they are healthy. 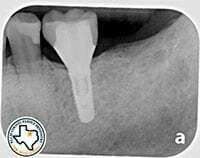 How do you determine where an implant should go? Dr. Atkins is a firm believer in utilizing technology to make your procedure as easy as possible. With the advent of 3D imaging (Dental CBCT), it is possible to accurately measure bone dimensions without any invasive procedures. This knowledge allows Dr. Atkins to plan your surgery virtually to be sure the implant is placed as close to ideal as possible. This planning is transferred to the mouth accurately with guided surgery, where a guide is fabricated from the virtual plan that allows an implant to be placed into the same position in the mouth as it was in the scan. This approach allows for better visualization of vital structures (nerves, vessels and sinus cavities) and a decrease in the rate of post-surgical complications. When it comes to your smile, dental implants are the next best thing to natural teeth. It’s the goal of Ellis County Family Dentistry to ensure that you’re happy with your smile. Contact us today to schedule an exam and consultation for dental implants!